Is your Sprinkler system not working? Do you need an emergency Sprinkler repair? Contact Trophy Landscaping today. Serving Katy, Sugar Land, Cypress, Fulshear and West Houston. Are you seeking Lawn Sprinkler Repair in Katy Tx ? You have just discovered a pool of water bubbling up from underground or a broken sprinkler head with water that is gushing out onto your lawn –now what? The first thing you should do is be sure to shut off your sprinkler system to prevent flooding, and call the experts at Trophy Landscaping & Irrigation. We are knowledgeable in Katy & Houston sprinkler installations and sprinkler system repairs. 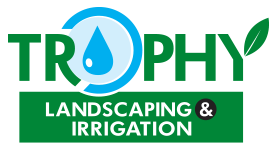 With more than 25 years in business, we have a licensed Irrigator on staff and fully trained technicians that are helping homeowners solve their Katy sprinkler repair problems all around the Houston and Katy area. 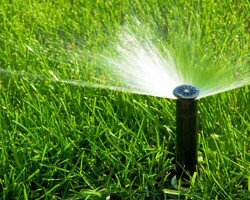 Is your sprinkler system not working properly? Contact Trophy Landscaping today at 281-398-5296. Since 1989, we are family owned and operated.